Huawei has announced it will hold a press conference just before the doors open at MWC 2015, saying it will reveal “surprises that will empower you to set your dreams free.” That’s some impressive marketing speak, which gives absolutely nothing away about its plans. Luckily, there are several rumors surrounding Huawei’s future line-up, which we’ve rounded up for your convenience here. Updated on 02-24-2015 by Andy Boxall: Added in news of the Huawei 4.5G smartband, which will be one of the company’s new products on display at MWC 2015. Huawei hasn’t made a significant leap into the wearables market so far, but that could change over the coming months. The company’s director of public relations has said it’s planning to release “a series of new wearables” during 2015, and that the first examples will come during Mobile World Congress. While a smartwatch is also likely in the works, Huawei will launch a fitness tracker at MWC, and it has already been revealed at a pre-show event in London. 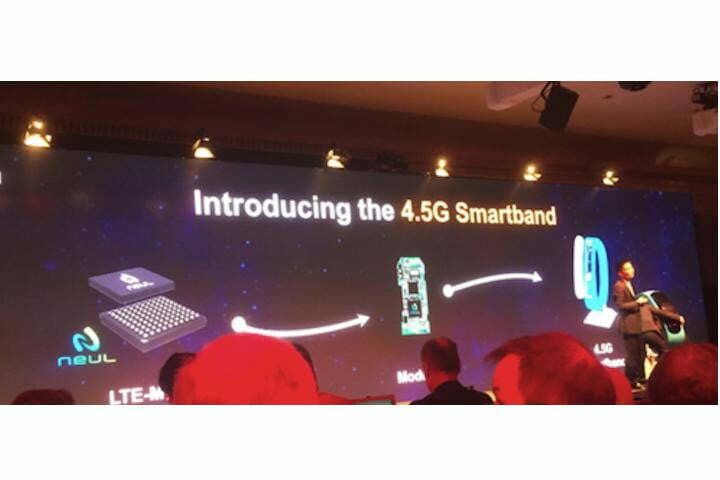 It’s probably going to be called the 4.5G Smartband, and as that name suggests, it has 4G LTE connectivity. Huawei says the LTE chip inside will connect to its own range of 4.5G LTE network hardware, and handle speeds up to 1GB per second. While the band may do so, there aren’t many actual networks offering this level of performance yet. It’s also unclear exactly what the 4.5G Smartband does. Is it a phone as well as a fitness tracker? Well, possibly not. Huawei was vague on its functions, but did talk about the band connecting to Internet-of-Things hardware, such as smart thermostats. 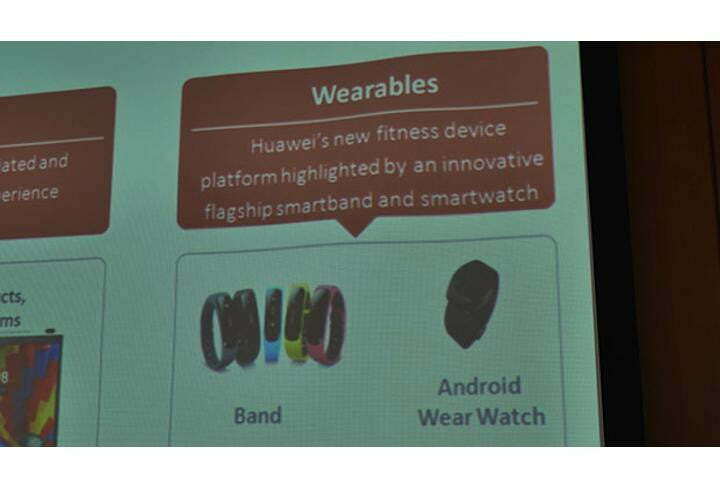 A leaked PR presentation from late 2014 showed a Huawei smartband and smartwatch being launched in 2015, and the device pictured resembled the firm’s existing TalkBand wearable. We’re sure to learn more in Barcelona. On February 16, Huawei published the teaser image you see here on its official Twitter page. The picture simply says “Next is here,” with a curved “smile” below it. The accompanying text isn’t quite as subtle. “Time to focus on what matters while staying connected.” This sums up smartwatches, and the reference to time gives us all the hints we need to say with confidence a smartwatch will be announced at Mobile World Congress. The picture does reveal something of interest though, as next to Huawei’s Make It Possible logo in the top corner, there is a 4G LTE symbol. Does this mean Huawei’s watch will be a standalone model? Could that curve suggest it’ll have a round face? We’ll find out next month. This isn’t the first time we’ve heard about a smartwatch coming from Huawei. Commenting that wearables were a hot topic at CES, and could be again at MWC, the PR team recently went on to state it has an Android Wear smartwatch in the works, but stopped short of saying it would definitely arrive at the Barcelona trade show. Additionally, a slide shown during a PR presentation at Huawei’s headquarters had a round-faced smartwatch slated for release. A report from Italy states Huawei may bring a slightly smaller version of the Mate 7 phablet smartphone to MWC, called the Mate 7 Compact. However, unlike Sony’s Compact phones, which are actually quite small, Huawei’s phone is still expected to have a 5.5-inch display. While this isn’t small compared to the Xperia Z3 Compact, it is when put alongside the 6-inch Mate 7. 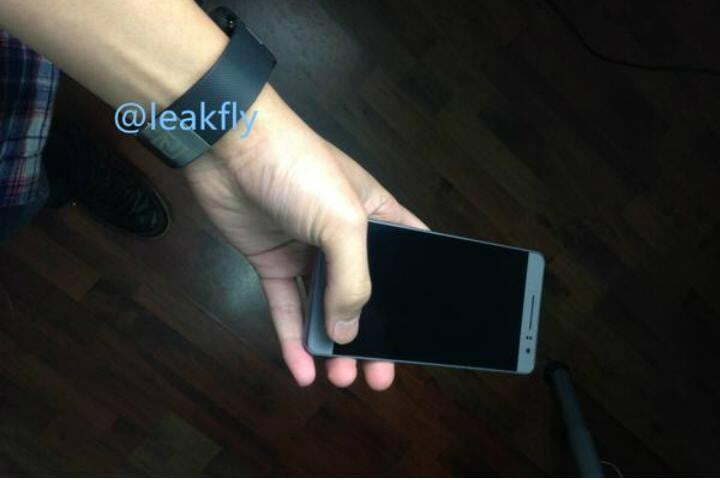 A set of images supposedly showing the Mate 7 Compact were leaked through Twitter at the end of January. The device resembles the full-size Mate 7, and the rear view shows it may also share the same fingerprint sensor fitted to its bigger brother. It’s potentially going to have a metal chassis, and a Huawei Kirin processor inside. Everything else, pending any other leaks, will be a surprise left for the show. The MediaPad X1 was revealed at last year’s Mobile World Congress, and was the company’s answer to the iPad Mini, but with phone capabilities built-in. Yes, it looked pretty silly when stuck to the side of your face, but technically it was an impressive and good-looking device. An image supposedly showing the MediaPad X2 has leaked online, and if it’s accurate, the device will again have an aluminum body, but perhaps with smaller overall dimensions than the original. The report adds the display will have a 1080p resolution, while the processor may be one of Huawei’s own Kirin chips with 3GB of RAM. The Ascend P8, should it arrive, could be Huawei’s flagship Android smartphone for 2015. Initially expected at CES, then at Mobile World Congress, a Chinese report now states Huawei will instead reveal the phone in April at a separate event. No explanation for any shift is given by the site, and there’s no official word from Huawei on the situation. However, the phone may have undergone a last minute spec change, with a rumored 5-inch screen being increased to 5.2-inches. A metal chassis is possible, along with a slightly curved 5.2-inch display, making it the largest P-series phone yet. There has also been talk of Huawei dropping the Ascend brand, so the Ascend P8 could end up wearing the Honor name, plus the Mate 7 has been leaked without the familiar name attached. Huawei has scheduled its event for March 1 in Barcelona, and we’ll bring you all the news on the day. Updated on 02-16-2015 by Andy Boxall: Added in a teaser image from Huawei, which hints at a smartwatch announcement at MWC 2015. 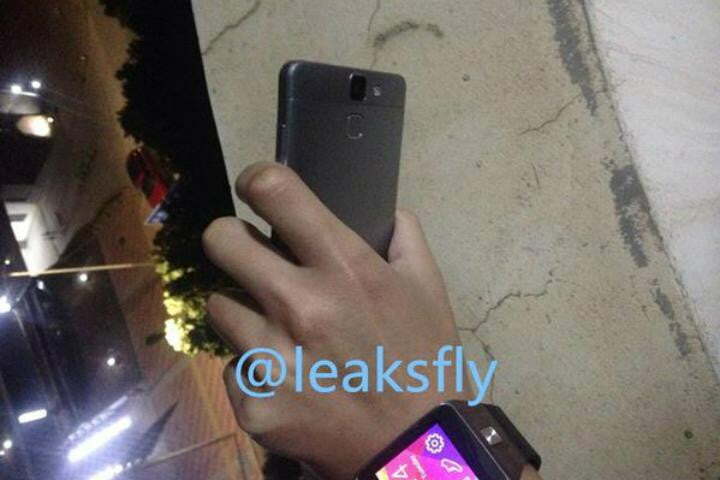 Updated on 01-29-2015 by Andy Boxall: Added in news Huawei will launch a smartwatch this year, potentially at MWC, plus leaked images of the Mate 7 Compact. Updated on 01-27-2015 by Andy Boxall: Added in reports Huawei will launch the Mate 7 Compact, which will still be quite big. Updated on 01-26-2015 by Andy Boxall: Added in reports the Ascend P8 won’t launch at MWC.